Originally from Pittsburgh, Pennsylvania, Jillian Linkowski graduated from Marymount Manhattan College with her Bachelor of Fine Arts in Modern Dance and Bachelor of Arts in International Studies. While in college, she had the privilege of working with Doug Varone, Alberto del Saz, Loni Landon and others. She has performed works by Murray Lewis and Martha Graham. Jillian has also worked with the Scalabrini International Migration Network and the Center of Migration Studies at the United Nations as an advocate and researcher for migrants and refugees. 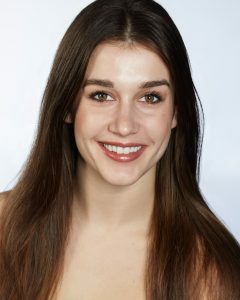 In addition to dancing with Battery Dance, Jillian is also a current member of Graham 2.